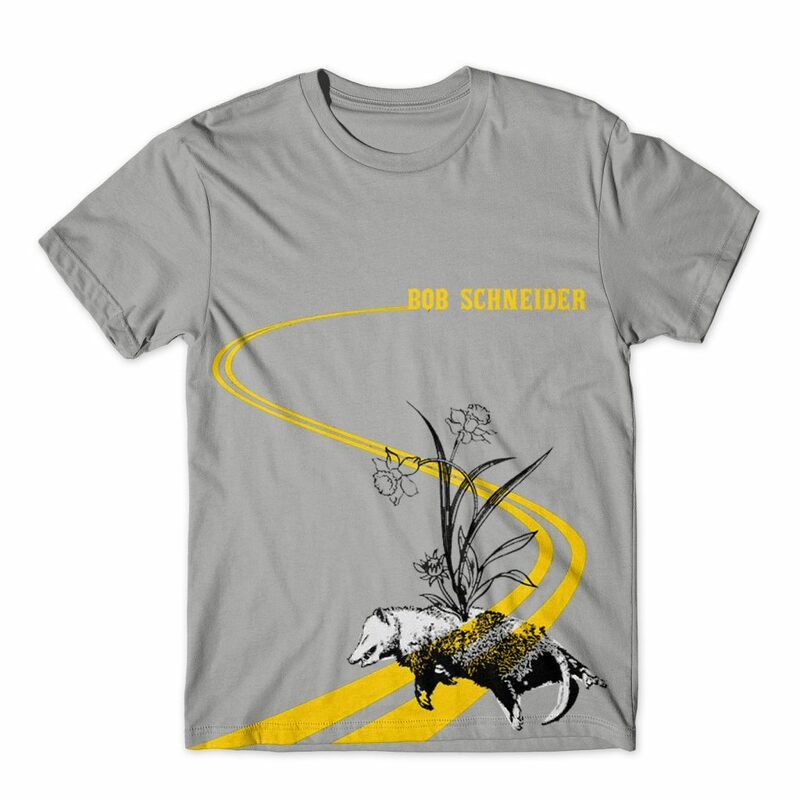 Merch Design for Bob Schneider. Austin, Texas-based singer/songwriter/creative force of nature Bob Schneider is constantly creating something. Sometimes it’s writing songs — he has written some 2,000 songs in the past 16 years — sometimes it’s creating videos to accompany some of those songs and sometimes it’s making gallery-ready art, including paintings and collages. He also has made a Christmas album, played a wedding singer in an indie film, written two books and penned a rock opera that has a title that can’t be printed in a family newspaper. Go for a ride into the heart of Bob Schneider’s prodigious mind by giving him a listen here.